Arizona's Republican Party will hold its annual state convention this weekend. Party leaders will gather Saturday at Grand Canyon University. They'll select the delegates who will ultimately cast their vote for the Republican nominee for President at the National Convention later this year in Tampa. Neighbors of the Gilbert community shocked by last week’s high-profile murder-suicide gathered at Town Hall last night to hear from police investigating the case. As KJZZ’s Nadine Arroyo Rodriguez reports, residents asked the town to improve the way it handles domestic violence cases. The U.S. Justice Department filed a federal lawsuit against Maricopa County Sheriff Joe Arpaio, his office and the county on Thursday. Maricopa County Sheriff Joe Arpaio responded to news of the Department of Justice's lawsuit at a press conference Thursday in Phoenix. Gilbert residents will get to hear updates about the J.T. Ready murder-suicide investigation Thursday. The Gilbert Police Department will host a community meeting at the Town Hall Council Chamber near Gilbert and Warner roads. Mike Stauffer delivered a box full of petition sheets earlier today to the county elections office. He’s the first candidate to submit nominating petitions for Maricopa County Sheriff. From Phoenix, KJZZ’s Nadine Arroyo Rodriguez reports. The Coconino County Public Health department is dealing with an outbreak of norovirus at a Flagstaff school. The illness caused has sickened multiple people at Flagstaff's Mountain School. Up to 70 people out of the small charter school's combined 235 student and staff population were sick last week. The city of Mesa will break ground on the new spring training home for the Chicago Cubs on July 11. A rendering of the mezzanine view at the proposed 15,000-seat stadium in Mesa. (Rendering courtesy City of Mesa)From the KJZZ newsroom, I’m Al Macias. The Department of Justice will announce on Thursday that it's filing a lawsuit against Maricopa County Sheriff Joe Arpaio over allegations of civil rights violations by his deputies. The Justice Department sent Arpaio a letter on Wednesday, notifying him of its intention to file suit. In the waning days of this year’s legislative session, lawmakers defeated a bill on HOA parking restrictions. It dealt with an issue many Arizonans think about – where to park your car at home. From Phoenix, KJZZ’s Mark Brodie files this report. The U.S. Justice Department says it will file a civil lawsuit against Maricopa County, the sheriff’s office, and Sheriff Joe Arpaio. From Phoenix, KJZZ’s Mark Brodie reports. MARK BRODIE: The federal agency today sent letters to Arpaio, his office, and Maricopa County Attorney Bill Montgomery, alerting them that DOJ plans to sue. Arizona Senate President Steve Pierce, Senate Minority Leader Dave Schapira, political consultant Bob Grossfeld, and political consultant Barrett Marson talk about the most recent legislative session. They touch on the budget, education, redistricting, and various bills. Lisa Quale, senior health educator at the Skin Cancer Institute at University of Arizona, and Dr. Glen Weiss of the Piper Cancer Center in Scottsdale talk about the importance of protecting yourself from skin cancer in sunny Arizona. Comedian Tommy Smothers talks about the Phoenix Comedy Festival, politics and stand-up comedy. Smothers says the upcoming Phoenix Comedy Festival will be a bit of a challenge for him. Smothers prefers to bounce ideas off of his brother Richard as part of the Smothers Brothers comedy duo. A two-alarm fire on Prescott's famed Whiskey Row destroyed at least three businesses Tuesday night. From Phoenix, KJZZ’s Terry Ward reports TERRY WARD: An employee at the Bird Cage Saloon noticed smoke about 6:30 Tuesday evening, was unable to find the source, but quickly got customers out of the bar and called 911. Z?calo Public Square May 21 - Can Israel Save Its Democracy? By many measures, Israel has never been stronger or healthier. Its GDP continues to rise, its population continues to increase, and its defense capabilities continue to improve. And yet Zionism today is in crisis. The Phoenix Coyotes have advanced to the NHL’s Western Conference Finals, where they’ll meet the Los Angeles Kings for the right to play for the NHL Championship. Meantime, NHL Commissioner Gary Bettman says the league has a preliminary agreement with an ownership group headed by former San Jose CEO Greg Jamison, to buy the team. Arizona’s attorney general will likely face legal action over part of the state’s recently approved budget. Earlier this year, Arizona received a billion dollar settlement as part of a national suit against five major banks for improper mortgage practices. 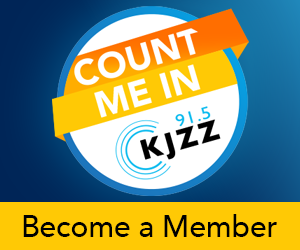 Joanne Ingram came to KJZZ as a Morning Edition producer in 2012. She also works as a production assistant for Right This Minute. Joanne Ingram (Photo by Sean Ingram)While in graduate school at ASU’s Cronkite School of Journalism and Mass Communication, Joanne was a digital journalist for Cronkite News Service and a reporter for News21. The National Hockey League is on the cusp of selling the Phoenix Coyotes to an ownership group that will keep the team in the Valley.From Phoenix, KJZZ's Steve Goldstein reports.STEVE GOLDSTEIN: The recent off-ice history of the Coyotes has been a saga of bankruptcy, lawsuits, and potential owners who pulled out before a sale agreement could be finalized. PHOENIX (Associated Press) — Police on Monday released some of the 911 calls in the case of a former neo-Nazi who allegedly fatally shot four people before turning a gun on himself in a Phoenix suburb.